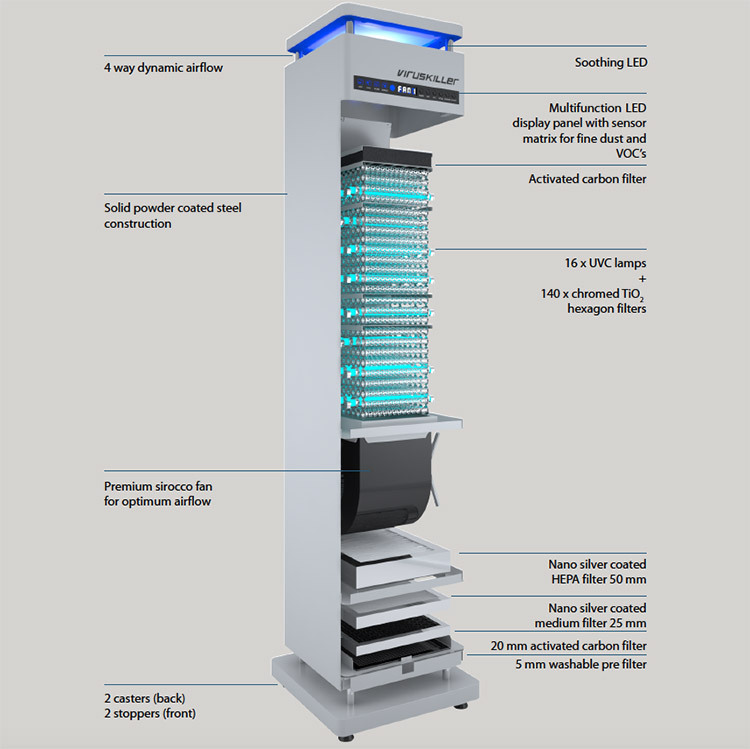 The Radic8 VK 102 is the perfect air purifier plus steriliser for all large open plan spaces as it has an impressive 165 square meter range. Radic8 VK 102 for large indoor spaces. The VK 102 has the same mechanical filters as the VK 002 but as it is covering a lot more space there is a more powerful scirocco fan and a sterilisation module that is approximately twice the size. 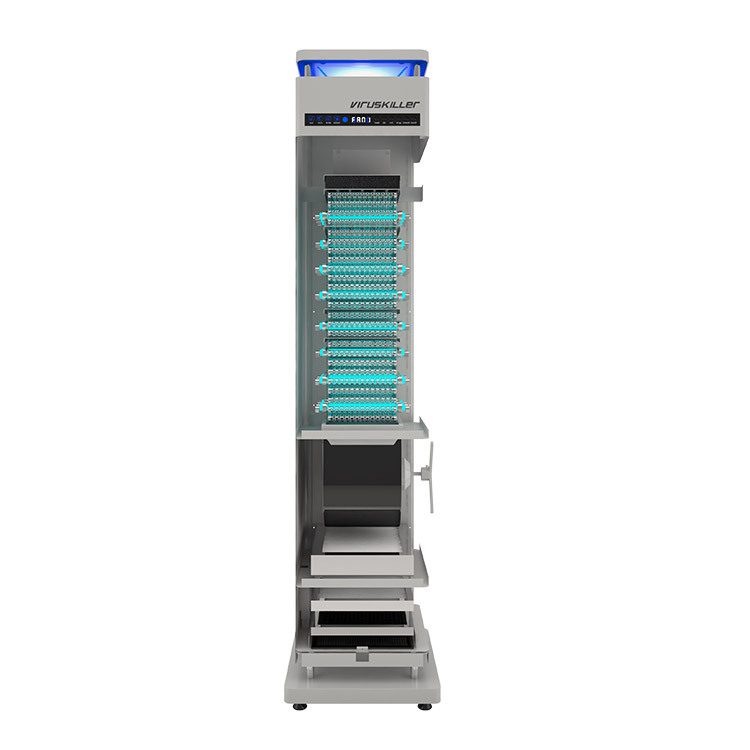 When larger spaces require air purification and sterilisation it is a lot more cost effective and environmentally friendly to operate bigger units as apposed to multiple smaller units and this is the reasoning behind this larger model. Taking the same ‘technology expressed as style’ approach as the VK 002, the VK 102 is also very good in spaces where there is a lot of air flow and people traffic as the units ability to exchange air is very high. 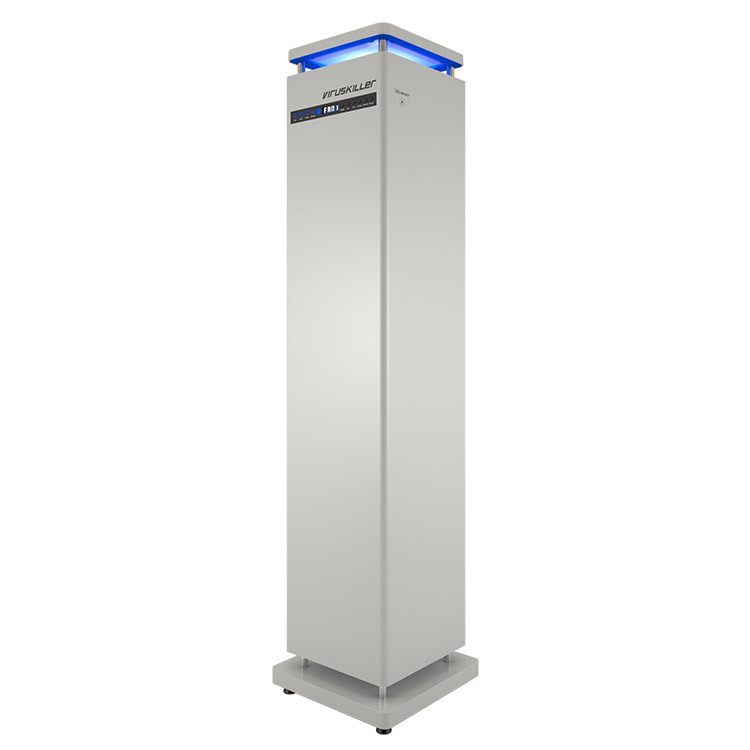 Places such as shops, waiting rooms, restaurants, busy offices and other environments where a lot of people are coming and going are key areas for the VK102 as it has the power to quickly process any pollution that enters the indoor air space. 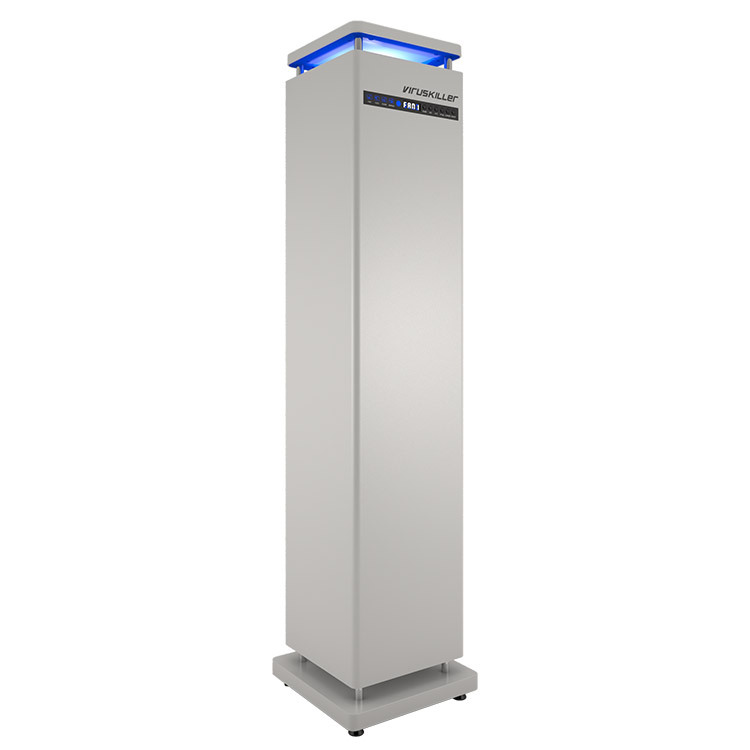 The VK 102 is a powerful tool for advertising as well as efficient air purification and sterilisation. With its striking and stylish looks, it stimulates curiosity and opens a dialogue between businesses and their customers. In environments that are known to be an infection risk, advertising clean and safe air is a very positive message. Imagine a nursery that can guarantee a germ free environment and helps prevent children spreading coughs and colds, and from bringing them home. A doctors surgery or retirement home that actively protects the vulnerable people in its care. The VK 102 has recently been upgraded to include a more powerful Scirocco fan and the option of nano silver-coated filters. 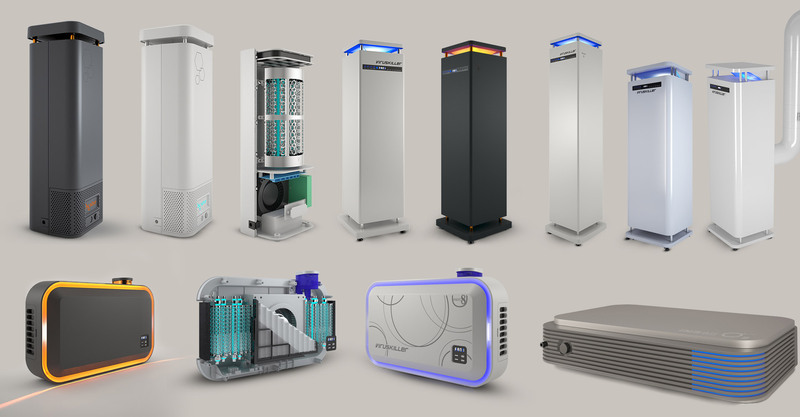 The next upgrade, coming soon, will be the inclusion of a sensor network to monitor and display indoor air quality.